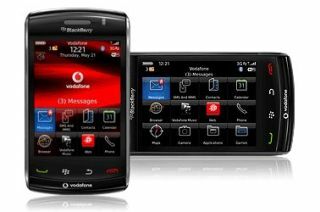 The new BlackBerry Storm 2 - what's it all about? RIM has unveiled the new Storm 2 to the world, and at first look it's a very similar beast to the first Storm. But there have been changes made, and RIM is pretty confident it has got it right this time – so we take a look and see whether this is the phone to keep RIM at the sharp end of the mobile pack. It looks very similar to the first device – what's new? "There have been design changes; while at first glance it might not look too different, but there have been significant changes made on the Storm 2. It has a sleeker look, the headset jack is recessed, it has soft touch paint on the side and the keys are integrated on the front," said Nawdesh Uppal - Senior Product Manager for RIM. "It's got a much cleaner look, one of the things we heard stories of was the front keys falling off so we've made a pretty significant chance in integrating them onto the LCD, which both looks nice and improves durability." But what about the clickable screen? Some people really didn't like it – has that been changed? While both the original Storm and the Storm 2 use the clickable screen – dubbed SurePress technology by RIM – under the hood it's a completely different set of hardware. "For the original Storm we had a mechanical button under the screen, which was a real innovation in terms of the touchscreen. That said we did get some complaints and both positive and negative feedback, a real polarising sort of technology," continued Uppal . "We've taken this to heart so the biggest change [on the Storm 2] is under the hood. "The original system had one mechanical button, which meant the tactile feel wasn't as consistent as it could have been across the surface of the display. It also meant when a user was typing they would have to wait for the button to pop back up, and that was unfortunately a natural inhibitor to typing. The new system [for the Storm 2] is based on four actuators, which gives some significant benefits to the typing experience. It feels better and enables rollover, meaning you can press two spots on the display at the same time and feel a click on both, for instance when pressing shift and a letter to make a capital." How about typing? It might feel better, but will we need to keep deleting all the time to spell things correctly? likes of the iPhone and the HTC range both have eerily accurate spelling correction for when typing the odd wrong letter, but the original Storm wasn't anywhere near that level. The new system is far more intuitive with a witchcraft-like level of correction – you almost feel like you can crush your ear into the screen, think a word and it will appear. "The nice thing about touch screens, while they inherently have limitations, is the virtual keyboard. This means software can work out where you're trying to type and then uses probability based algorithms to work out after a couple of characters what you're trying to input," commented Uppal . "Once you started getting comfortable with typing on the old Storm, you would start hitting the limit of how fast you can type because of the mechanical button - that limitation is gone now. So from a typing perspective, we've brought wholesale changes to the Storm 2."